How much is that Arm really worth? 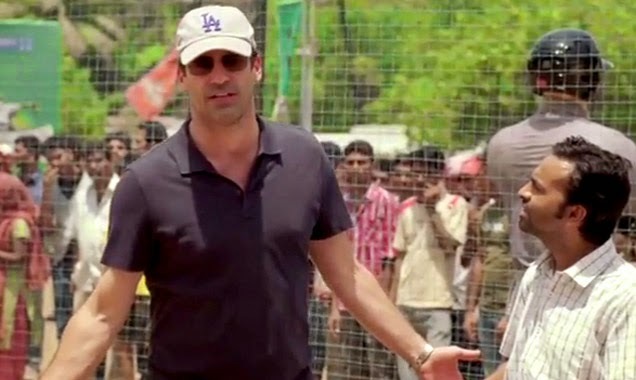 Million Dollar Arm is a great movie that all the kids and families will enjoy. With some of the movie set in India, this will make you feel like you truly are in India. Some of the footage is that great. 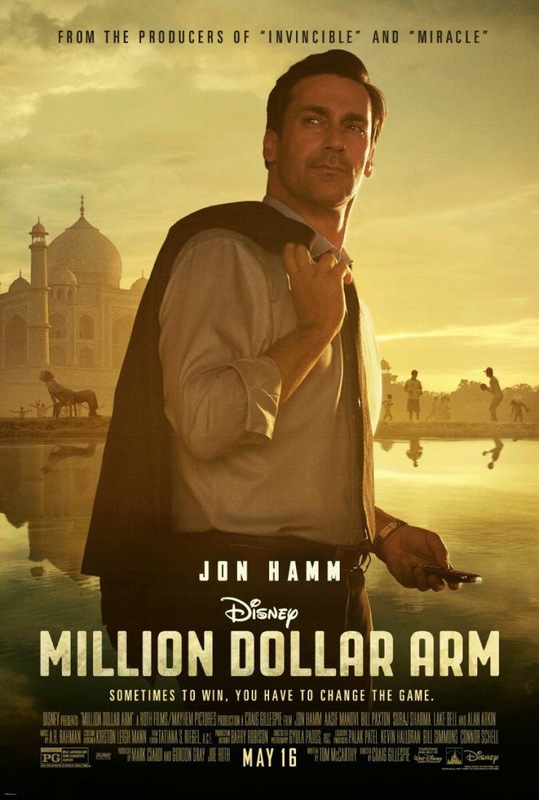 John Hamm is a great actor. He is able to play any role really. In this movie he is a mean corporate, a loving father like character, a lady's man, and a few others. The interactions he has with these boys, and really all the boys in the movie is something you really want to see. Alan Arkin really stole the movie when in India though. He was able to keep the audience entertained while the movie had to slow down for some important details we needed to know. Also Lake Bell is able to pull off her role really well. At times she is the good guy and at times she is messing with John Hamm's character. She really needed to be in it more to have more detail about her performance. If you want to take your family to see an enjoyable movie this weekend. This would be one of the films to go and see. It is great for all ages and will keep you smiling through the entire film. It is one of those feel good, true story, this could happen to you type of movies. Make sure you stay while the credits are going, to see some real images of the real people involved. They should have had Alan Arkin in the movie more then he was. He was really some of the comedy relief we wanted. More air time for him would have been great. Lake Bell and John Hamm never really went anywhere. They should have had something like them getting together more then just ending the movie.